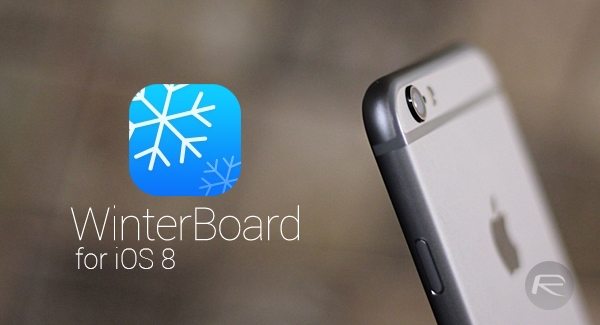 WinterBoard, the popular theming app for jailbroken iOS devices, has just been handed an update, and therein, includes a series of bug fixes and stability tweaks. If you’re a WinterBoard user, you’ll know the drill by now as far as updating is concerned, but if you’re still adapting to the world of jailbreaking, you’ll be pleased to know that the tweak is easy enough to avail. Simply fire up Cydia, and so long as you haven’t removed any of your default sources, simply run a search for WinterBoard, install and reboot. You’ll want to make sure that you’re running the very latest version 0.9.3918, which pre-existing users will be updating to, and although it’s not quite as major an update as the one rolled out at the tail-end of last month, it’s still an essential download for any WinterBoard user. After Pangu8 and then TaiG, the jailbreak scene is thriving, and while Springtomize 3 has once again delighted us with its ability to tweak almost every aspect of the home screen and beyond, the true themers remain loyal to WinterBoard’s skinning credentials. It took the best part of a year for WinterBoard to see an update, but now, Cydia author Saurik has pushed two in little over a week, and if you’ve been experiencing problems with iCloud backup or any of the other issues outlined above – or even if, indeed, you haven’t – be sure to update WinterBoard right now via Cydia.